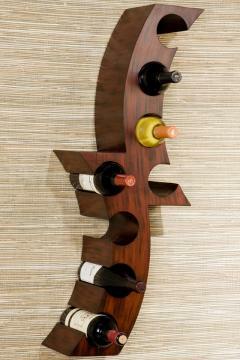 Drink in your wine collection before ever opening the bottle. The Calabria Wall-Mount Wine Rack is the perfect contemporary accent to your home bar furniture, featuring a sleek, abstract design and solid hardwood construction. Best of all, mounting it the wall is as easy as hanging a picture. Elevate your wine to new heights today. Crafted from a single piece of Asian hardwood. 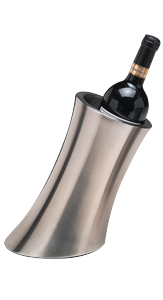 Holds up to 8 bottles of wine. Easily mounted to any wall. 35.25"H x 12.5"W x 7.25"D.